It is in our parenting DNA to give our little ones praise for their cooperation and achievements. It’s important to find the right praise for their particular personality. 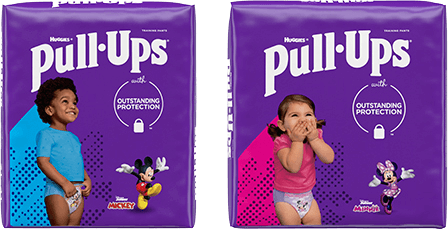 Make sure that you take our quick assessment quiz to find out your child's potty personality before getting started. Puppies do well with praise. Make sure to comment positively on your child’s progress and enjoy the potty discussions your child initiates. Remember, your Puppy wants to please you! Let him know he DOES. Turtles often feel pressured when we pour on the praise too heavily. Keep your comments short, sweet and specific to their accomplishments — no matter how small. And if they get discouraged even after a compliment, it’s time to give them a break from the potty training. Turtles are likely to feel most comfortable using the potty where there’s an established routine, such as at school or in their homes, and less comfortable in new settings. Squirrels do well with extra incentives, including praise. Experiment with the kinds of praise he responds well to, and tailor your comments to your little Squirrel’s preferences. Owls keep track of their progress and expect you to as well. Make a potty progress chart together with lots of fun stickers and little trinkets to mark progress along the way. Bear Cubs often need an extra dose of motivation, and praise is a great way to go. Showing your Bear how the Big Kids use the potty is another great motivator to try.